Columbia have a huge reputation for providing fantastic product at a great value price point. We sell a large proportion of their Columbia children's outdoor clothing, as well as several adult ranges also. In particular, their ski products are superb, so watch out for our children's winter clothing. The Berghaus range of kids outdoor clothing is superb - extremely functional but also typically Berghaus in style and taste. Very desireable products at surprisingly affordable prices. This relatively new brand is setting new trends in children's outdoor wear - clothing to suit both the pocket and the fashion conscious, with great performance to boot! This kids specific brand specialises in high performance outdoor clothing for children, which is also attractive and yet is still good value for a premium product. They use materials and designs which kids love and their range enables products to be mixed and matched. We carry several Gelert products, which we have found to be both great value and also highly popular with children when playing outdoors. The products are well designed, extremely well sized, and perfect for everyday outdoor antics for kids. 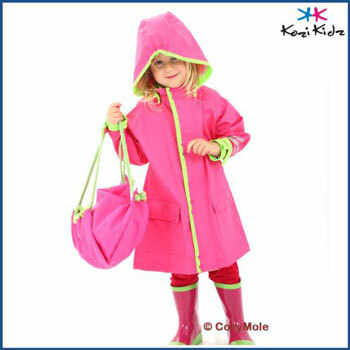 We also sell their extremely popular and successful 'Rainpod' packable waterproof range for both children and adults. As well as these brands we also carry several others to fill in those gaps where you need a great product to help you keep on trekkin - such as Teko socks: absolutely brilliant products for hiking and general outdoor wear. We choose products like these because kids (and adults) like them, and they work so well. Our whole philosophy is to pick products which both your children and you as a parent will be happy with. We're adding new ranges and brands all the time, but if you have a suggestion or request then we'd be glad to hear from you.